Ben Fritz maliciously sought to harm Felix Arvid Ulf Kjellberg's "Pewdiepie" image, income and well-being. He himself has made racist and anti-semitic comments, much worse than those he took out of context and accused Pewdiepie of. This not only makes him a hypocrite, but it completely delegitimizes the value of his integrity and his work. It also calls into question the intention for which he is writing his articles. He is supposed to be a journalist yet he intentionally and maliciously misrepresented the facts and context in his articles. His body of "work" shows a consistent pattern of hate, racism and an intent to misrepresent and harm others, despite actual facts and context. He does not deserve the privilege nor the responsibility of his position and we demand he is removed from his position immediately. Wow almost 1500 signatures, everyone is showing incredible support for Felix! We will continue to share and advocate against Ben “hypofritz” Fritz to ensure his actions have consequences. Please continue to share if you can! Amazing support guys! Just passed 350 signatures! 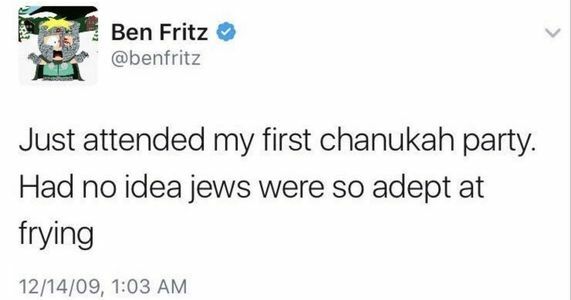 We will continue to share and advocate against Ben “hypofritz” Fritz to ensure his actions have consequences. Please continue to share if you can!